Three suspected members of a kidnapping syndicate in Ogun state has been arrested by the Ogun state police command. 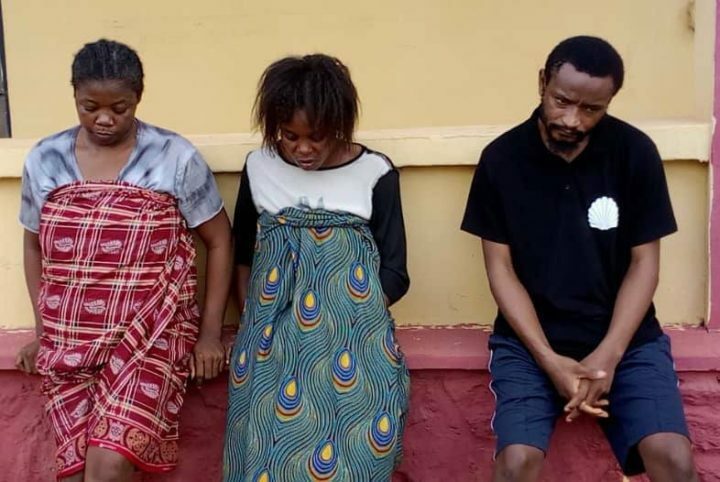 The syndicate’s leader is allegedly a woman who is currently serving her time in an Ondo prison for another case of child theft. 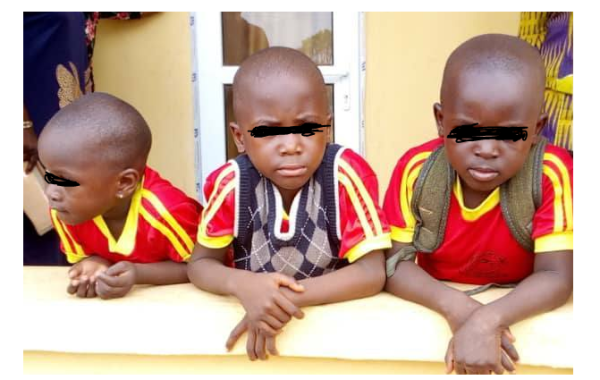 DSP Abimbola Oyeyemi, the state’s spokesperson via a statement released said the syndicate operates by first carrying out surveillance of areas the children lived then a man and a woman, would pretend to be a married couple in search of an apartment. They would successfully deceive the people of the community this way before grabbing the children. The police recovered 3 out of 8 children kidnapped and have since reunited them with their parents. The names of the suspects were given as Kate Njoku (F); Joy Okorie (F) and Onyeka Joseph (M), while adding that one of the recovered children, Temidayo Ajayi and his brother were kidnapped in Sagamu in July 2018. Temidayo’s brother is still being sought for by the Police.